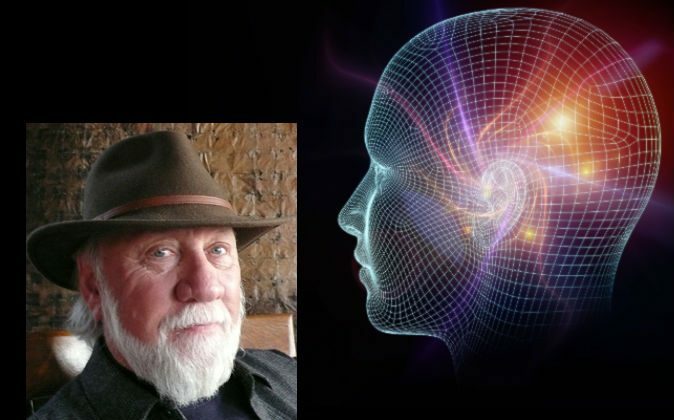 Dr. Allan Leslie Combs is developing a Consciousness Studies PhD program at the California Institute of Integral Studies (CIIS). “Consciousness was traditionally treated by what [psychologist] William James called ‘tough-minded scientists’ or ‘hard-nosed empiricists’ as trivial, or non-existent, or at best what’s technically called an epiphenomenon—something that’s just produced by the brain somehow but doesn’t mean anything,” Dr. Combs said. But the physical impact of observation—of consciousness—on objects seen in quantum physics experiments has drawn increased interest to the study of consciousness. “If consciousness is part of the basic fabric of the universe at the quantum level, then it’s important everywhere and in everything. Physicists are very serious about this, this is not just wacko stuff,” Dr. Combs said with a laugh. Dr. Combs’ consciousness courses earn students nationally recognized academic credits. Though CIIS grew out of a casual wine and conversation group in the 1950s—a setting more traditionally suited to discussion of spiritual or philosophical matters—the school has attained full accreditation and has operated as a robust academic institution, albeit a somewhat unconventional one, for more than two decades. A new world view is emerging, said Dr. Combs. He cited the late cultural historian and ecotheologian Thomas Berry, who viewed the universe as a community of beings rather than a collection of objects. Dr. Combs emphasized the word “community.” Part of the new world view, he said, is an increased sense not only of sentience, but also of interconnectedness. Quantum entanglement is a phenomenon in which particles that have once been in contact continue to show a connection even when separated by vast distances. When the state of one particle is changed, a corresponding change occurs in the distant partner particle without any apparent cause except for this connection. “At the time of the Big Bang everything was connected,” Dr. Combs said. Does everything in the universe thus remain connected through quantum entanglement? Not all particles in the universe display entanglement this way, otherwise when one particle changes, a corresponding change in every other particle would be seen. This doesn’t occur. But, the question remains as to how everything may be connected in ways that aren’t immediately obvious. The importance of quantum entanglement wasn’t widely discussed until recently, and physicists are now conducting studies to learn more about it. Though the most prominent and popular colleges may not establish Consciousness Studies programs next month or next year, Dr. Combs is confident this field of study will eventually take hold on a broad scale. If this is so, perhaps CIIS gives us a glimpse at the college campuses of the future. Walking around the CIIS building in San Francisco, one finds images of mandalas and spiritual leaders. Tolerance seems to be the pervading theme. In the classrooms, the subjects discussed run the gamut from clinical psychology through social justice and the arts to Eastern spiritual practices. “It’s a little dicey sometimes,” Dr. Combs said. “One of the problems we have, [along with] other alternative schools … is that in some areas, like clinical psychology, in order to be fully accredited, you have to follow the standards of the APA [American Psychological Association]. That means not talking about spirituality, for example. [It means] sticking to a really basic empirical approach. “This is a problem for alternative schools, because we do have a more spiritual orientation and a more humanistic orientation.” But CIIS has managed to walk the line. Dr. Combs emerged as a Consciousness Studies professor from the borderland where empiricism meets mysticism. He majored in physics at Ohio State University. He went on to graduate studies in psychology and became interested in the Human Potential Movement of the 1960s, which held that a largely untapped potential can be cultivated to bring greater fulfillment in life as well as positive social change. This movement gradually went in the direction of spirituality. Dr. Combs identifies with Daoist philosophy and practices meditation. He’s also long had an interest in cosmology, in understanding the big picture of what our place or role is in the universe. The University of North Carolina hired Dr. Combs in 1982 as a physiological psychologist. He retired from his post there in 2004 and began his work at CIIS. During his career at the university, he was fortunate to have the freedom and support to pursue his interest in consciousness. Many in academia are not so lucky, he said. He knows of professors at other universities who have been dismissed for straying ever so slightly from their specifically assigned research. At CIIS, students have great freedom in developing their own interests. Dr. Combs is currently Director of Consciousness Studies in the Transformative Studies Department. He explained that in his department, professors play the role of guiding students through research methods, but the topics of study are largely decided by the students. There are some limits; if no experts are available to guide the students in a particular study, it may not be feasible for them to pursue it. Academic integrity and quality of work are key, and as long as these are upheld, staff members are open to the exploration of any idea. The school hasn’t housed much research in the field of parapsychology, but one of Dr. Combs’ colleagues recently received a $50,000 grant to pursue parapsychology studies. CIIS is an example of an academic environment in which “alternative” ideas are given a serious hearing. Another step toward bringing an “alternative” idea to mainstream academia is the establishment of a professional society. Dr. Combs is president and founder of the Society for Consciousness Studies, which now has 150 expert members including famed medical doctor and holistic health advocate Deepak Chopra. Dr. Combs sees the emergence of Consciousness Studies as comparable to the crescendo achieved by a symphony. He is one among many “musicians” contributing to its rise. The Society for Consciousness Studies will hold a conference open to the public June 3-5, 2015 on the Yale University campus in New Haven. Find more information here. Many have suggested that scientists must face the enigma and challenges of understanding consciousness for science to make it's next big leap.